Kayak, Surf Board and S.U.P. 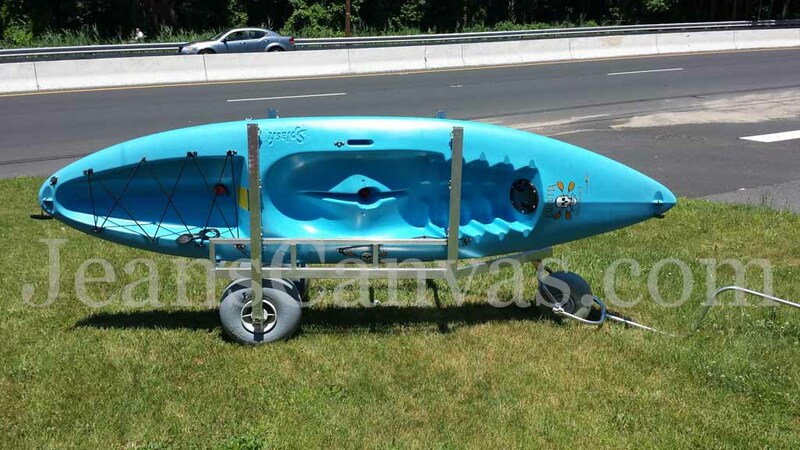 Jean’s Canvas Products has created a Custom Beach Cart especially designed to carry your kayak, surf board, S.U.P. and more through all surfaces using Wheeleez patented low pressure tires. These Kayak, Surfboard and S.U.P. Custom Beach Carts are invaluable to rental businesses, resorts, training schools, summer camps, summer schools and camp grounds. They save time and energy when you have multiple pieces to carry. The frames are constructed out of Marine Grade 60/61 aluminum and 3/16” Marine Grade stainless steel on all mounting hardware. Jean’s Canvas Products can also service the individual who needs to carry one or two boards. Our professionals are waiting to hear from you today. We ship everywhere!